You can purchase the full range of Dishlex dishwasher parts for your Dishlex dishwasher right here at Online Appliance Parts. If the part you need is not listed here, please contact us with your model number. If the part is available we will put it up on the website for you. We may even have the part in our warehouse. Included in our range are Dishlex door seals, timers, Baskets, Rollers, Hoses, inlet valves and many other Genuine Dishlex parts. Unlike many others, we also have access to some older Vulcan Dishlex parts for Mk7 and Mk8, 500eco, Manhatton, Milano and 640HD models, as well as the later Global series Dishwashers. All our genuine Dishlex dishwasher parts are of the highest quality as sold by the manufacturer, not cheap copies. 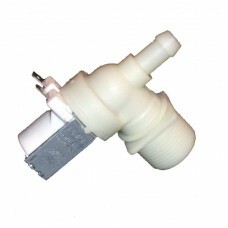 7021948 Valve-Inlet Single 10mm - 90 deg Outlet - 10L/min flowSuit early Dishlex. The original ..